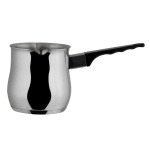 The Paderno A4164110 Turkish coffee pot has a 33.8-ounce capacity and is constructed of 18/10 stainless steel, which consists of 18 percent chromium and 10 percent nickel. This composition offers excellent corrosion resistance. 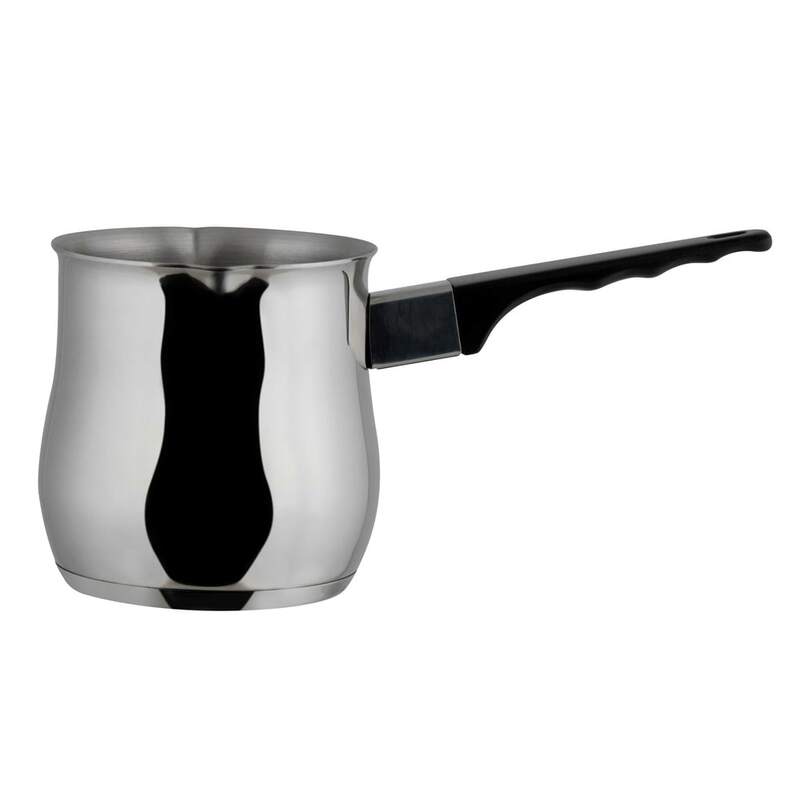 Its base is made of three-ply metal to support conducting and retaining heat, and it features a stay-cool Bakelite handle to protect users from burns. It works with gas, electric, ceramic, and induction cooktops, and its two spouts are integrated into the rim to minimize messes when pouring.